Here is another example of how the ‘Science Of Cycles’ is used to improve the predictability of celestial events. 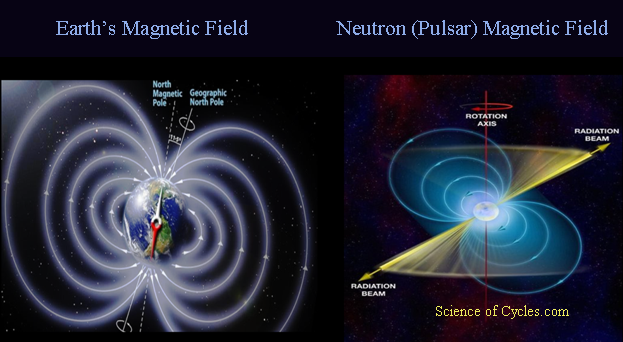 Earth’s magnetic field extends from pole to pole and is strongly affected by solar wind from the Sun. This “wind” is a stream of charged particles constantly ejected from the Sun’s surface. 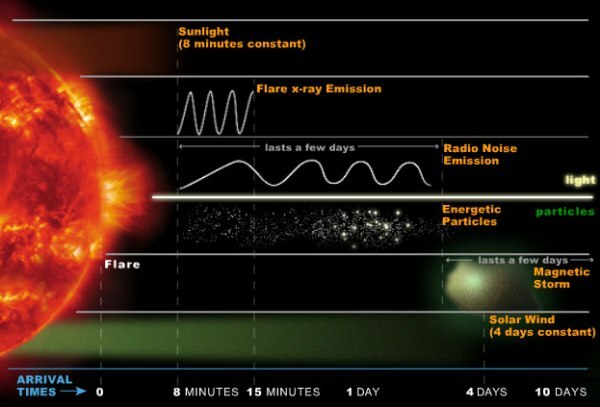 Occasional sudden flashes of brightness known as solar flares release even more particles into the wind. Sometimes, the flares are followed by coronal mass ejections that send plasma into space. 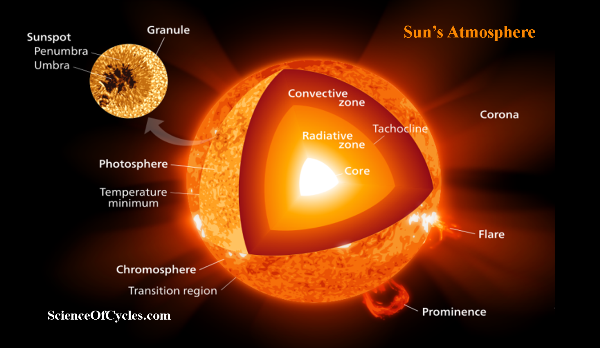 The resulting flux of charged particles travels millions of miles from the Sun to Earth. When they arrive here, the particles wreak havoc on Earth’s magnetic field. The result can be beautiful but also destructive: auroras and geomagnetic storms. The storms are serious and interfere with a number of important technologies, including GPS signaling and satellite communications. They can also cause damage to surface electrical grids. Solar activity appears random, making it difficult for us to predict these storms. In the journal Chaos, from AIP Publishing, a group of investigators from Europe, led by Reik Donner at Potsdam Institute for Climate Impact Research in Germany, reports a new method for analyzing magnetic field data that might provide better short-term forecasting of geomagnetic storms. This new method relies on a technique developed for systems in a state far from equilibrium. Earth’s magnetic field fits this paradigm because the field is driven far away from equilibrium by the solar wind. Systems that are far from equilibrium often undergo abrupt changes, such as the sudden transition from a quiescent state to a storm. The investigators used hourly values of the Disturbance storm-time, or Dst, index. Dst values give the average deviation of the horizontal component of Earth’s magnetic field from its normal value. This deviation occurs when a large burst of charged particles arrives from the Sun and weakens the field generated by Earth. The Dst values form a single stream of numbers known as a time series. The time series data can then be recast into a 2D or 3D image by plotting one data point against another at a fixed amount of time into the future for forecasting. Here, the authors created a diagram known as a recurrence plot from the reconstructed data. The recurrence plot is an array of dots typically distributed non-uniformly across the graph. The authors used their data to look at a pair of geomagnetic storms that occurred in 2001 from large solar flares a couple of days prior to the storm. They used a method known as recurrence quantification analysis to show that long diagonal lines in these recurrence plots indicate more predictable geomagnetic behavior. 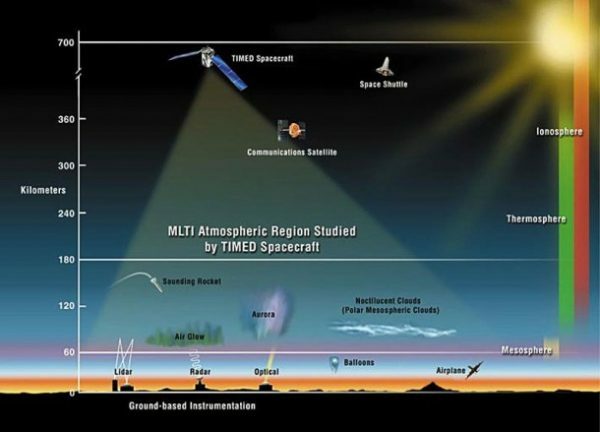 The method reported here is particularly well-suited to distinguish between different types of geomagnetic field fluctuations. The technique allows researchers to characterize these differences with an accuracy not previously achieved. I received three emails who were questioning my position on global warming, now addressed as climate change. I thought this would be a good time to glimpse my historical view as well as best define current scientific studies. First I will start with the term ‘global warming’. It is simply a made-up name created by James Hansen, who was a NASA climate scientist, and presented his hypothesis during a 1988 US Senate hearing on climate. Hansen, along with Michael Mann, a climatologist from Penn State University, created a computer generated analysis of a global warming trend, which later became known as the infamous ‘hockey stick’. 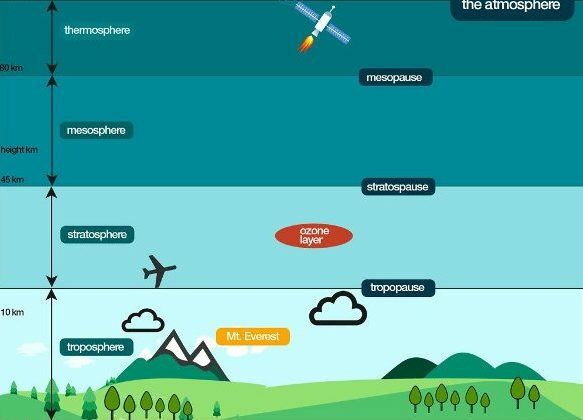 They based their assumption of warming on anthropogenic (human induced) pollution. Former vice president Al Gore, joined the duo team in 2006 and later that year released his video ‘An Inconvenient Truth’, further advocating Earth’s warming was 100% caused by manmade pollution. As a point of reference, I published my first book “Solar Rain” in 2005 which lay out my research on the Sun-Earth connection which included my 1998 Equation. The title of Chapter 13 in the book gives you a good idea of my perspective: Global Warming … or a Warming Globe? I highlight the many contributing factors which contribute to warming and cooling trends. Admittedly, none of the factors include manmade pollution. However, this does not mean that humans do not pollute, nor does it mean CO2 pollution does not contribute to warming trends. 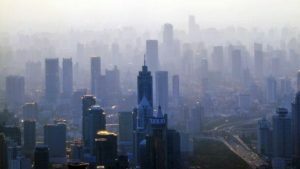 This first book relies heavily on scientific factors, which also allows for the low percentage of anthropogenic pollution. 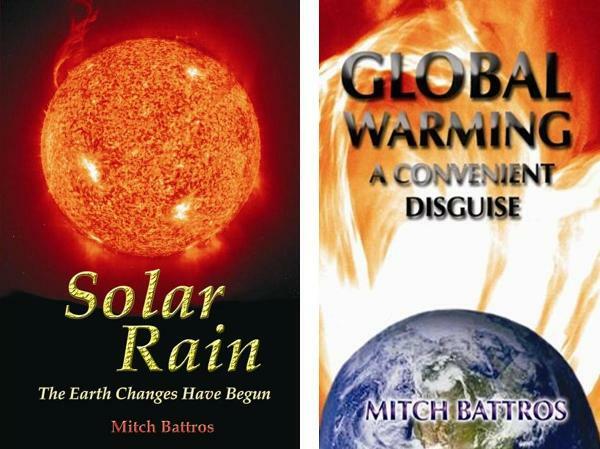 It was during the writing of my second book “Global Warming a Convenient Disguise” that my research involved a significant tilt into what I described as the politicization of science. With the trio of Al Gore, James Hansen, and Michael Mann pushing hard on their agenda to have all in the related sciences adhere to the holy grail ‘hockey stick’ – while pointing a threatening finger of shame if you did not agree that the cause of warming was clearly by the hands greedy irresponsible people. Although the latter may be true, I can say without hesitation, I know of ‘no one’ who pollutes simply for the sake of pollution. I certainly am a proponent of a clean environment and don’t mind if conscious polluters are punished, however, even if you were to put every one of them in jail, it would not stop warming and cooling trends here on Earth. I did not want to get too lengthy with article, however, I do have more to say. Stay Tuned For More Coming…. Based on a new study, space scientists at the University of Reading are predicting we are witness to the beginning of a longer-term solar cycle, which will exceed the better-known 11 year and 22 year cycles. Each cycle consist of a ‘solar minimum’ and ‘solar maximum’ measured by the number of sunspots during these periods – and the waxing and waning of charged particles produced by solar flares, coronal mass ejections, coronal holes, and charged filaments. This research is produced by Dr Mathew Owens, from the University of Reading’s Meteorology department, and Co-author Professor Mike Lockwood FRS, University of Reading. Their paper was published in the journal ‘Scientific Reports’. “The magnetic activity of the Sun ebbs and flows in predictable cycles, but there is also evidence that it is due to plummet, possibly by the largest amount for 300 years”; said Owens. As the Sun becomes less active, sunspots and coronal ejections will become less frequent. As this trend continues over time, the escalating reduction in solar wind has a direct causal effect on the layers of the Sun’s atmosphere. 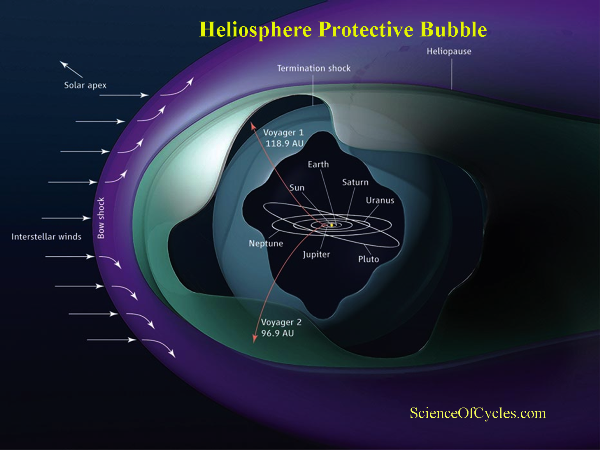 The most significant effect will be on the ‘heliosphere’ – which like Earth’s magnetic field, shields the Earth dangerous charged particles and radiation. **I am working on the completion of this study – hope to have it published tomorrow. 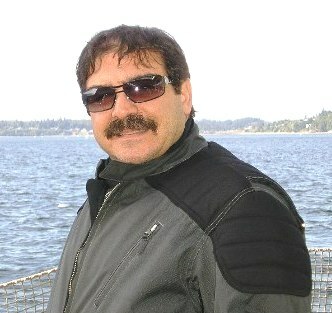 STAY TUNED…..
Join me this Sunday (Jan. 22nd) for my guest appearance on Richard Syrett’s Conspiracy Show. Our focus will be on the latest news and research concerning the coming full magnetic pole shift. 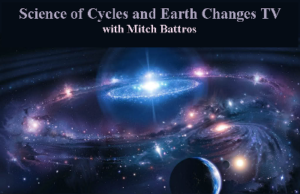 In addition, we will discuss the latest research on the cause of cyclical climate change the Earth has seen its whole life. We will certainly touch on the Sun-Earth connection, but we will go much further than this to show newly found intricacies between our solar system and galaxy identifying cyclical expansions and contractions – which I might suggest mirrors that of a living entity in the way of “inhaling” and exhaling”. 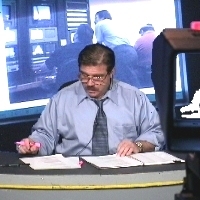 Showtime is 11 PM eastern – 8 PM pacific. 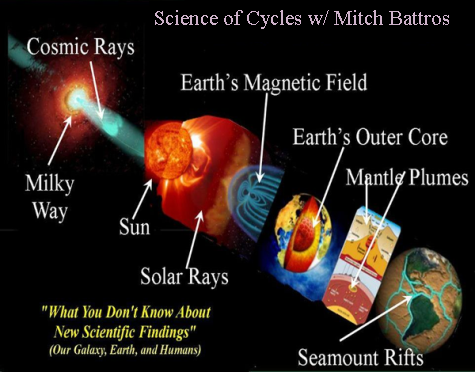 By now, most of you have caught on to my documented hypothesis, now turning to theory, indicating all that we have learned (ongoing) about the Sun-Earth connection directs us to the ‘science of cycles’. This is to say – the better we understand the cycles (rhythm) of events, the better we can prepare for advantageous and disadvantaged events of the future. 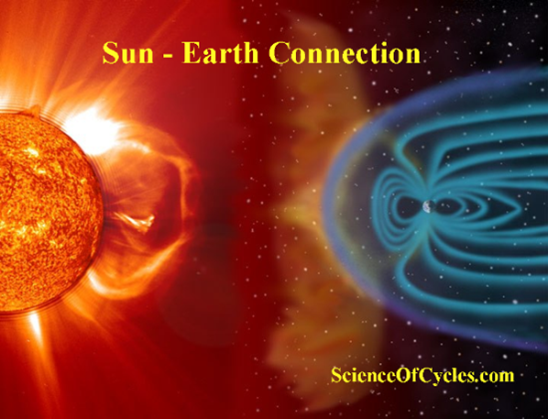 I will place some recent related articles below which I believe leaves a strong paper trail suggesting what we have learned about the cyclical events of the Sun-Earth connection, is mirrored in many ways to most if not all celestial orbs – whether they be pulsars, dwarfs, or galaxies. 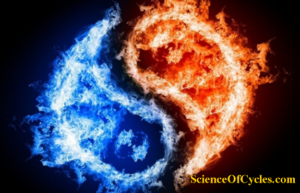 It is the ‘science of cycles’, which holds true today as it did a millennia or a mega-annum ago. 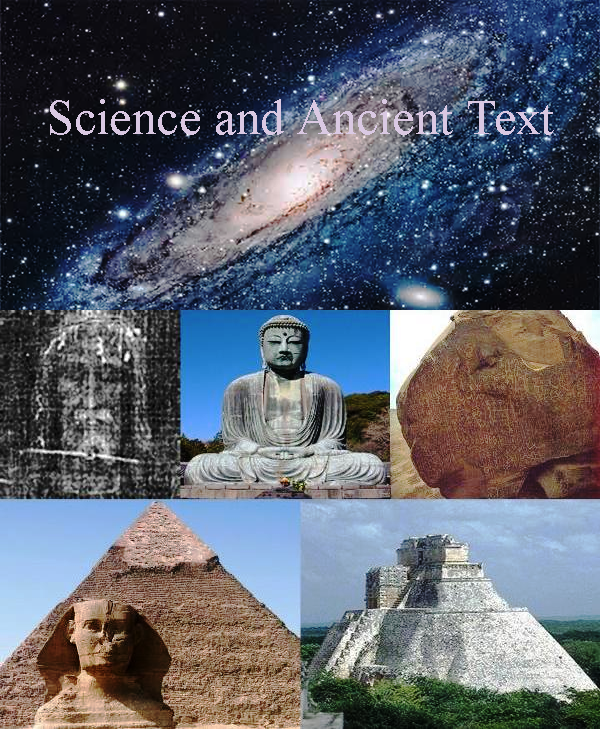 Our ancestors collected and handed down some very valuable knowledge through history; science is just now able to verify it. A team of scientists has recently presented evidence of an unexpected drop in the observed magnetic field of an accreting pulsar designated V0332+53. This downturn, observed after the pulsar underwent a bright, three-month-long X-ray outburst, could yield important information on how the added mass settling on the surface of a neutron star affects its magnetic field. The findings are detailed in a paper published online on Apr. 26 in the arXiv journal. 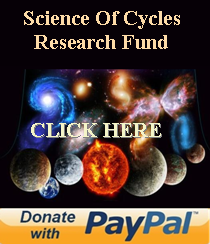 – Be part of keeping ‘Science of Cycles’ alive and free. – Your support is needed to keep this unique and valuable resource. 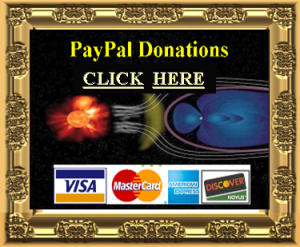 Help sponsor us with your pledge as you see fit to the value you receive. V0332+53 is a gathering pulsar emitting X-ray radiation, with a spin period of 4.4 seconds. It orbits an early type companion star in an eccentric orbit of about 34 days. Significantly, this pulsar shows sporadic giant X-ray outbursts lasting several weeks, followed by years-long intervals of dormancy. These X-ray outbursts were observed in 1989, between November 2004 and February 2005, and between June and September 2015. The latest outburst drew the attention of a team of researchers, led by Giancarlo Cusumano of the Institute of Space Astrophysics and Cosmic Physics in Palermo, Italy. Using the Burst Alert Telescope (BAT) and the X-Ray Telescope (XRT), both mounted on NASA’s Swift spacecraft, the astronomers were able to observe the pulsar in soft X-ray and high-energy bands. 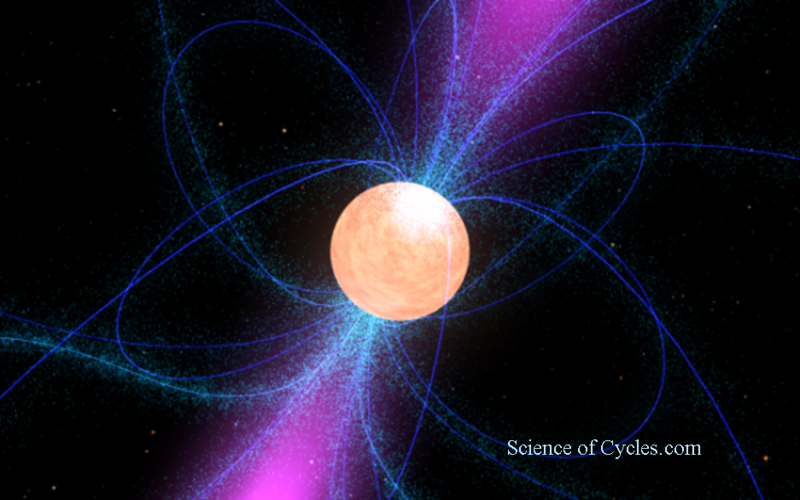 The findings could be crucial for our understanding of the matter accretion processes in neutron stars and could provide new insights on pulsars’ X-ray outburst events. 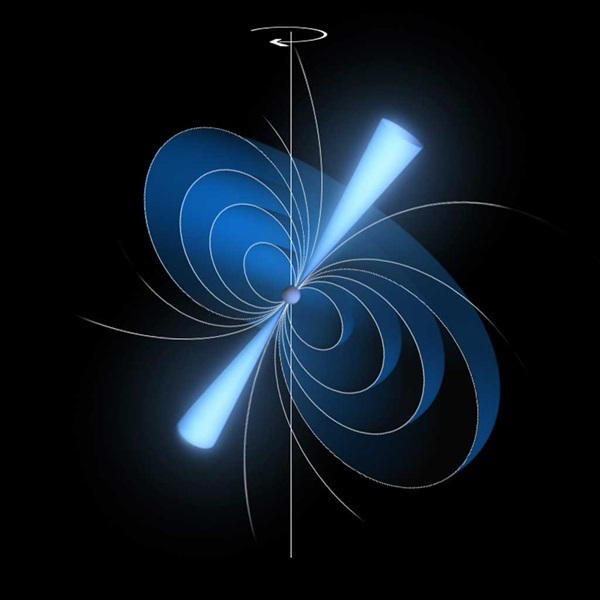 According to the research, the magnetic field of neutron star drives the accumulating matter along its field lines towards the magnetic polar caps, forming an appendage, where matter is followed up by radiative processes that produce X-rays.